Dental impressions are an essential part of planning treatment and creating orthodontic appliances. However, for many patients, the process of taking impressions can be a particularly unpleasant experience. Traditional impressions that use the “goop” are messy and uncomfortable. Fortunately, for technicians and patients alike, advances in technology now allow dentists and orthodontists to eliminate the goopy material entirely. 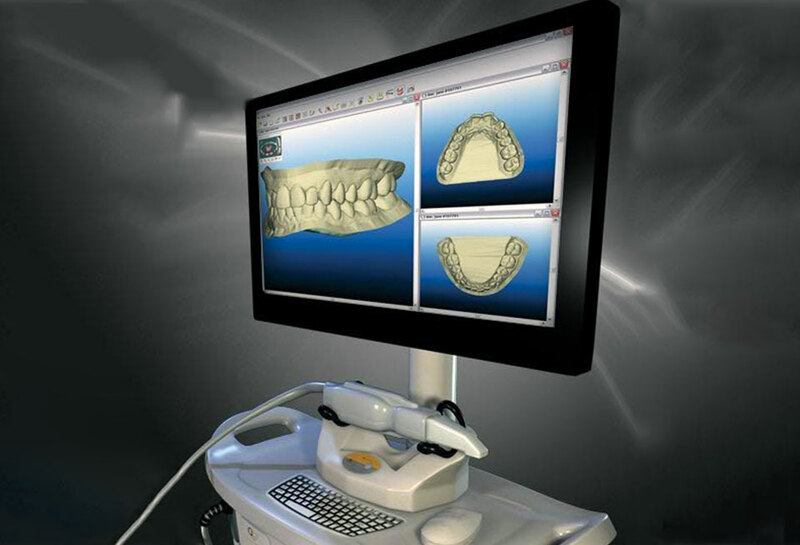 Digital scanning also streamlines Invisalign treatment. The scanner is integrated with Invisalign and reduces what is a two-­step process with traditional impressions to a single step using a digital scan. Digital impressions cut the Invisalign start time from 6 weeks to just 3 weeks using the digital scanner. Even better, patients can see a simulation of their treatment based on the digital impression and view the “after” before treatment begins. Digital scanning is now the gold standard in patient comfort and accuracy for taking impressions. Digital scanning ensures an accurate impression that results in more effective orthodontic planning and treatment: best of all, no more goop, gagging, discomfort or anxiety related to traditional impressions.